I follow three Facebook pages and check their posts every morning on my news feed. The problem is I don't know what was the last post I saw the day before. Is there any way to remove all the seen posts or at least mark them as read? You cannot remove or mark as seen to a post on News Feed. But you can hide a post in your News Feed. Hide post: Hides a single post and gives you the option to see fewer posts from a specific person, Page or group. Hover over the News Feed tab in the left side menu and click three dots(...). Not the answer you're looking for? Browse other questions tagged facebook facebook-pages news-feed or ask your own question. How do I remove a friend from my Facebook news feed? 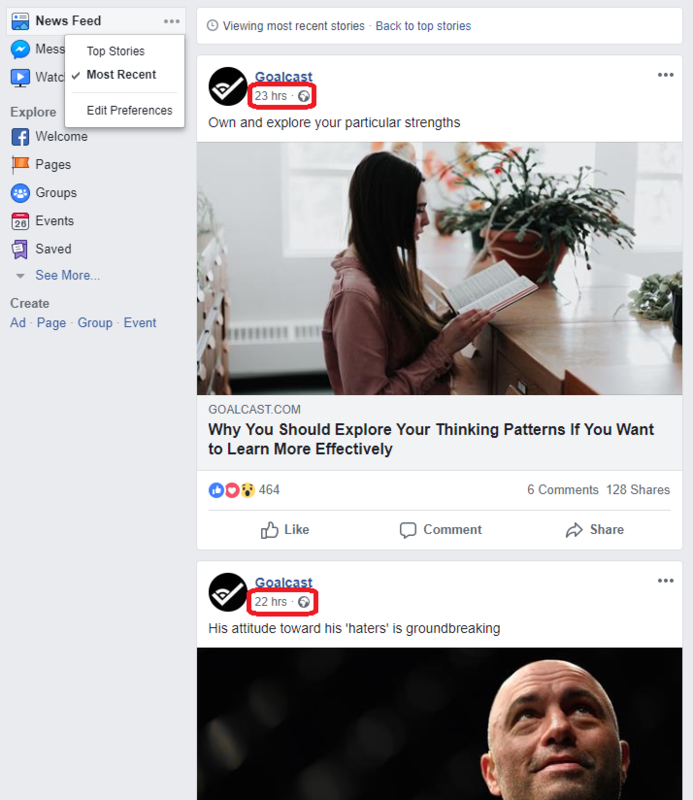 How can I remove unsolicited posts/spam from my Facebook news feed?